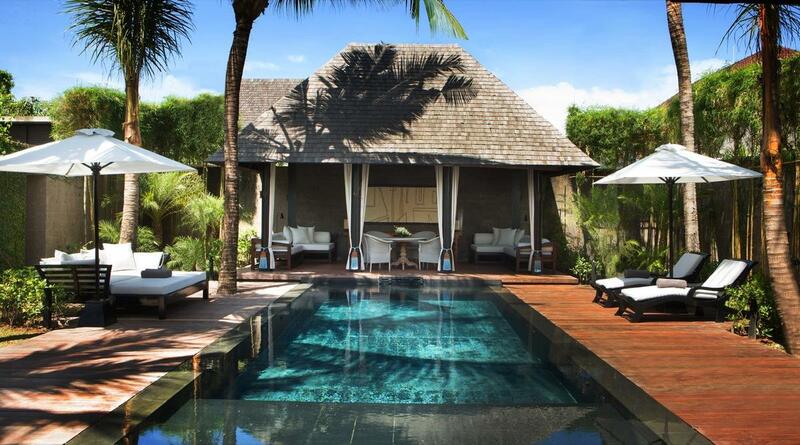 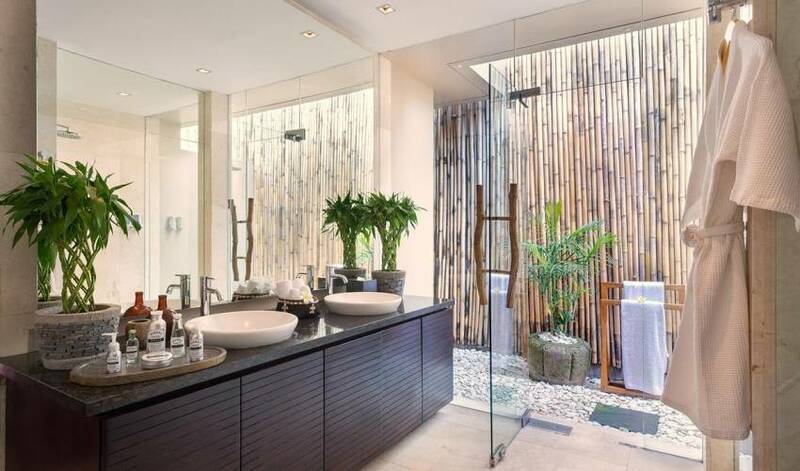 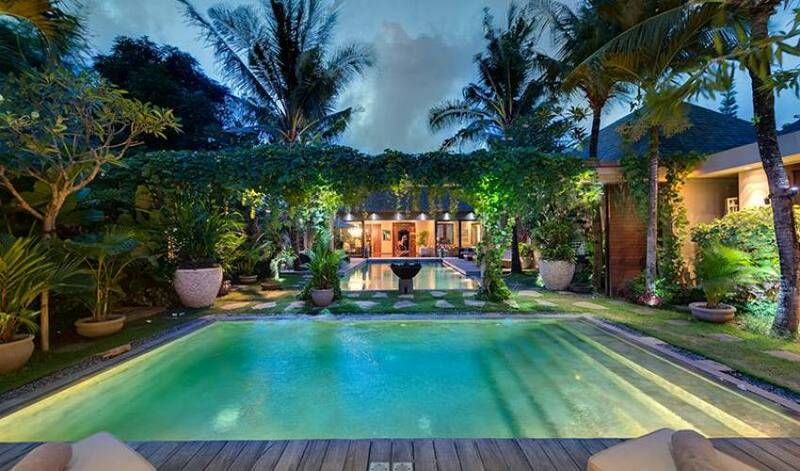 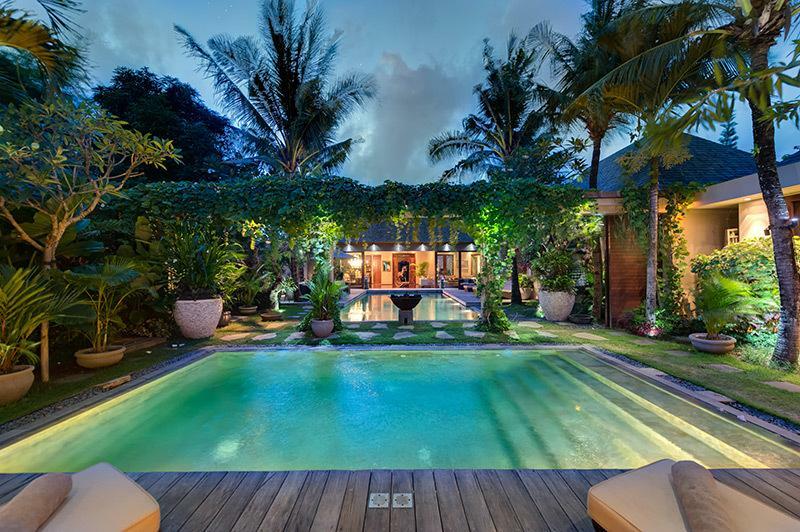 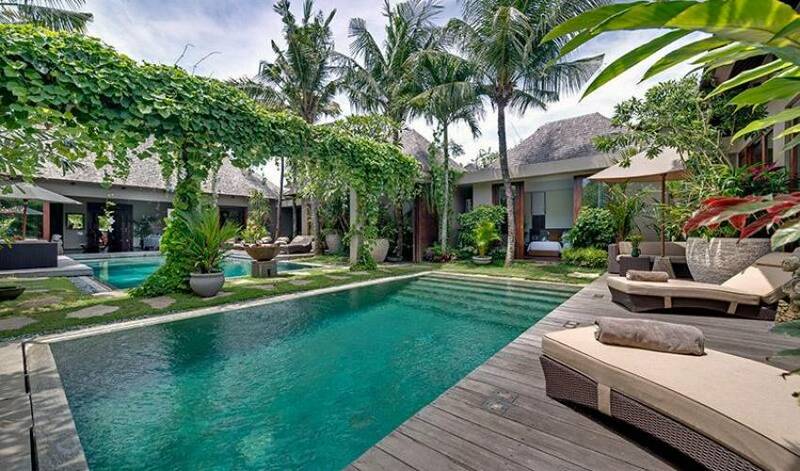 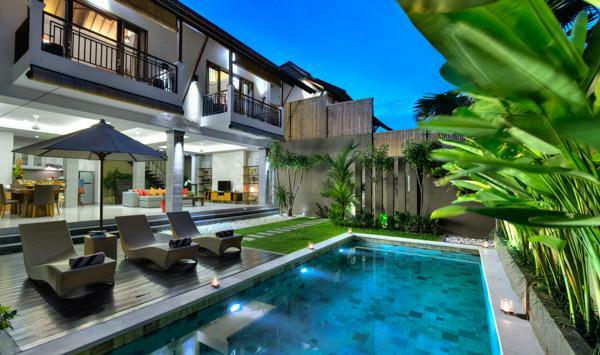 Situated just 300 metres from Seminyak’s beach, shops, restaurants and nightlife, the fully staffed villa present sleek designer-chic and pared-back luxe. 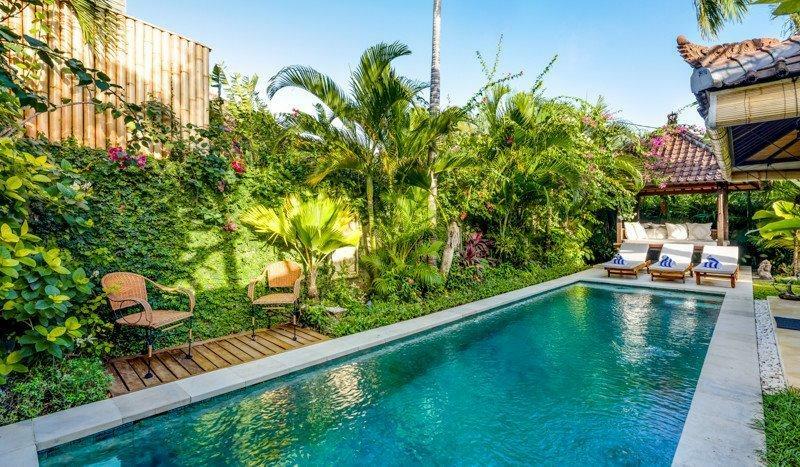 This versatile property can be rented as three independent and totally private two- and three-bedroom villas, or simply push back the walls to create 5 and 8 bedroom combinations sleeping up to 16. 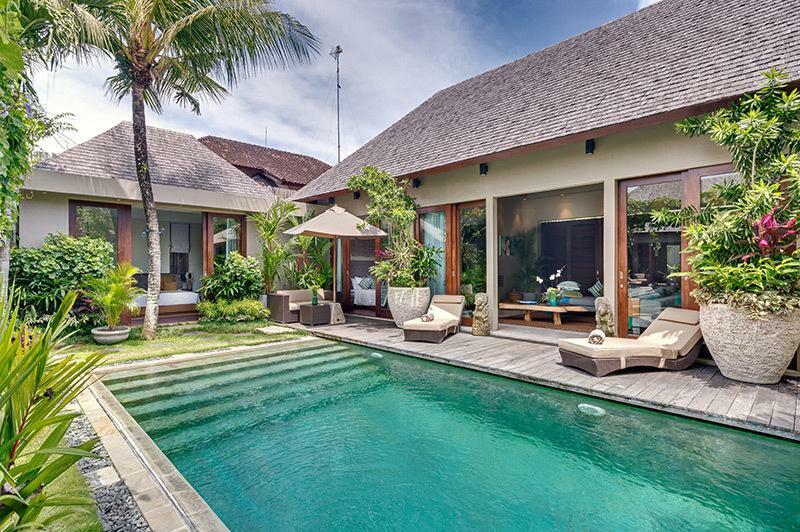 Each villa has its own swimming pool (with pool fence available), a glamorous living and dining space and an integrated kitchen, while all bedrooms feature ensuite bathrooms, king-size beds, dressing areas and TV/DVD players. 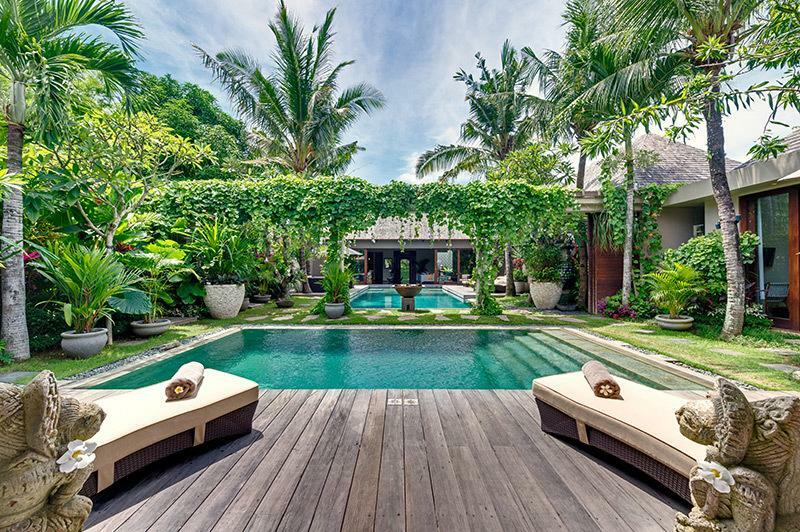 The three villas are set in private, walled tropical gardens complete with frangipani trees, coconut palms, flowering plants, sun loungers and pool decks. 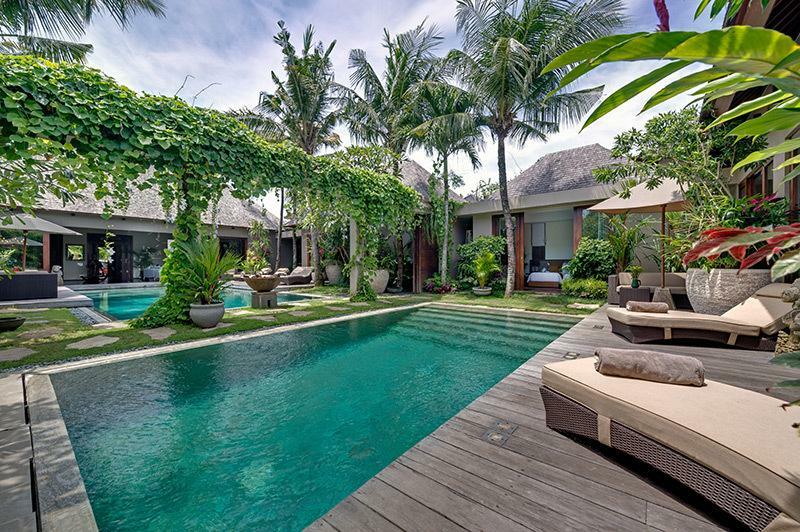 The high-pitched roof of the villa’s living area and the vast glass doors on both sides only add to the volume of an already spacious room that boasts a large sofa, elegant marble floors and a dining table for eight. 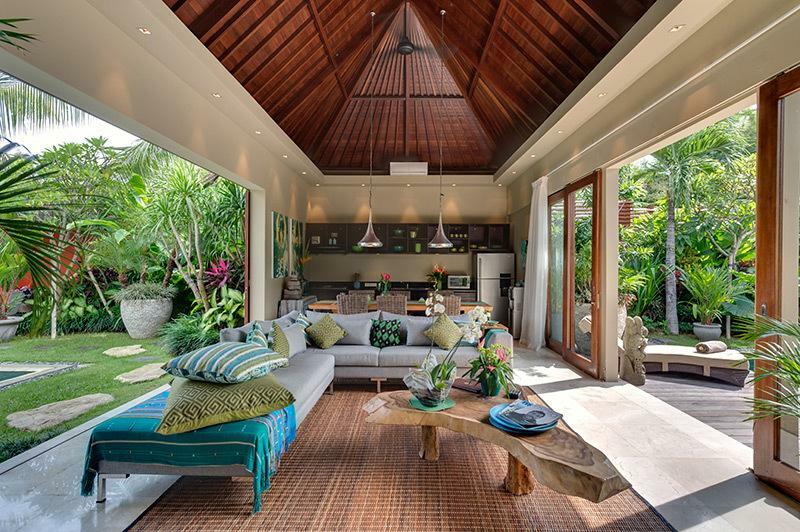 At one end is an open-plan kitchen equipped for guest use. 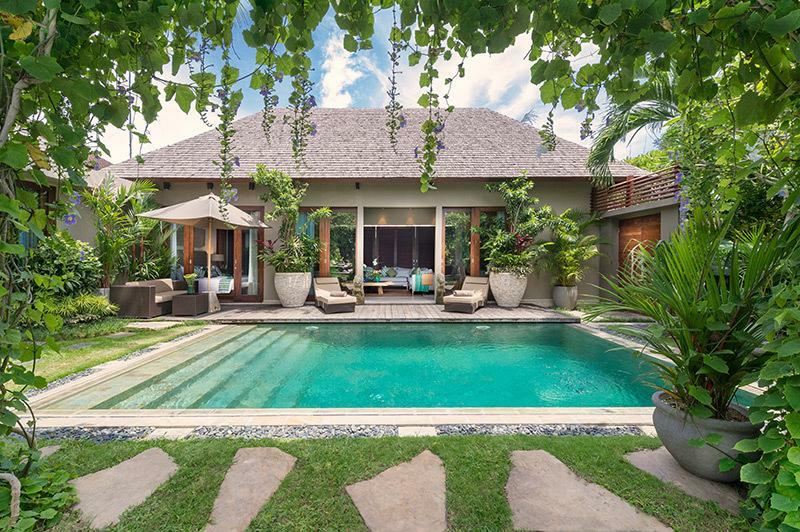 With access from both the living room and the pool deck, the villa’s master bedroom is a very versatile and super-comfortable space featuring hardwood floors, tasteful earth-toned furnishings, a king-size bed and an ensuite bathroom that offers both indoor and outdoor rain showers. The villa’s guest room opens directly out to the pool and garden, and again offers a choice of indoor and outdoor showers. 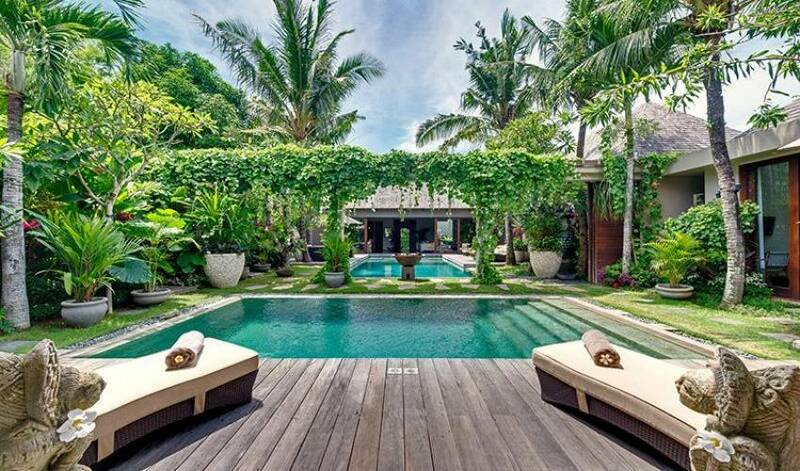 The twin beds can be joined together to make a king, adding to the villa’s versatility.